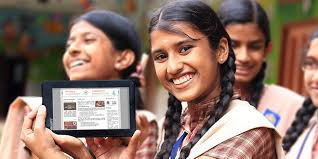 TCS iON ‘Life Long Learning’s’ digital products will help students from K-12 and higher education as well as working professionals to consume content in a self-paced, engaging, multi-dimensional format with deep focus on the outcome delivery. The personalized diagnostic analytics provides feedback on specific areas for improvement. This one-stop platform eliminates all traditional boundaries by enabling learners’ to remotely access this network of subject matter experts, peers, faculty and mentors. These learning products are designed with a series of community based learning content and assessments facilitated by assisted analytics. The integrated Artificial Intelligence (AI) engine helps to deliver contextual analytics for continuous self-improvement. The industry SME participation makes the entire process of learning more relevant. “We are living in a fast-paced world where learners are digital natives and are exposed to manifold content enabling them to meet their needs at the tap of their fingers. While India is still at a very nascent stage at adapting digital learning technologies, TCS iON’s ‘Life Long Learning’ platform will act as a key enabler. Phygital access to appropriate content is the need of the hour to meet demands of Gen’Z’ and be relevant at every stage of life”, Mr Ramaswamy added.